Two Little Sibling Kid Boys Having Fun On Strawberry Farm In Summer. Chidren Eating Healthy Organic Food, Fresh Berries. Royalty Free Fotografie A Reklamní Fotografie. Image 42705891. 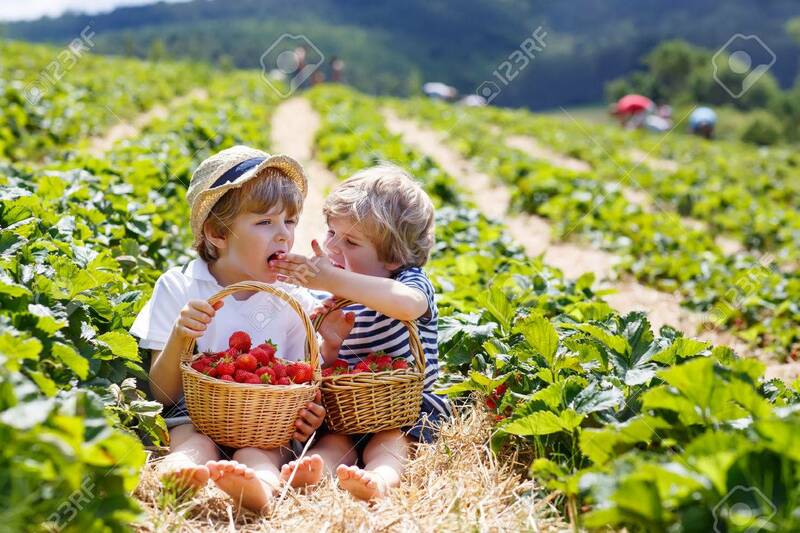 Reklamní fotografie - Two little sibling kid boys having fun on strawberry farm in summer. Chidren eating healthy organic food, fresh berries. Two little sibling kid boys having fun on strawberry farm in summer. Chidren eating healthy organic food, fresh berries.